Internet users around the world rely on VPN Unlimited due to strong protection that the service offers, and the convenient set of features that it supports. Keeping your information secure when you are connected to the internet has become a challenging task since there are many threats lurking. However, there are ways to protect yourself and KeepSolid’s VPN Unlimited is a reliable solution that will help you to ensure that your personal and financial details are not stolen, and that your online activities are not monitored. In the competitive world of VPN services, VPN Unlimited stands out for its advanced features and the flexibility that it gives customers to find a solution that suits their specific needs. The provider is an ideal alternative for anyone who wants a high level of protection and the option to bypass restrictions, without having to pay hefty prices. Here is more about VPN Unlimited. In order to be considered as a good solution, a VPN needs to support a high standard of security. No matter what data you handle and what platform or network you are using, a high quality VPN needs to keep your information protected from malicious hackers and other threats that lurk online. VPN Unlimited is designed to offer a high standard of protection, even when you are connected to a public WiFi network. Your browsing activities, your emails, the content that you access and everything else that happens when you are online, is secured with top level encryption. In order to ensure that your information is protected, VPN Unlimited supports OpenVPN, which is widely known for its high level of security and its stability. You can rely on VPN Unlimited to handle sensitive data because it uses military grade AES-256 encryption. In addition, this provider gives you the chance to use L2TP/IPSec and IKEv2, which are great alternatives when OpenVPN is not available or when you need faster performance. VPN Unlimited also provides a protocol called KeepSolid Wise, an exclusive protocol that offers stealth mode and that is capable of masking your VPN traffic, making it appear as standard HTTPS traffic. This makes your traffic almost impossible to block, which is why KeepSolid Wise is an excellent solution for users in China and other countries where VPNs are subject to high restrictions. Once you connect to VPN Unlimited, the client automatically selects the best protocol, based on your platform. However, you can choose another protocol, if needed. Another reason to trust VPN Unlimited is that it provides DNS leak protection by default and the test showed that your data is not exposed. There were no IP leaks detected either, proving that VPN Unlimited is a solid choice when it comes to protecting your privacy and anonymity. The effective anti-leaks protection that VPN Unlmited offers extends to IPv6. In summary, here, you won’t find any leaks that could put your data at risk. VPN Unlimited offers software that works with popular platforms like Mac, Windows, Linux, Android, iOS, Windows Phone and Apple TV. There are also browser extensions available for Chrome and Firefox. You can connect to up to 10 devices at the same time, depending on the plan that you select, meaning that you will have flexibility to take full advantage of your VPN service. You will be able to enjoy high security and bypass restrictions when you are at home using your computer, when you are on the go using your mobile phone and more. 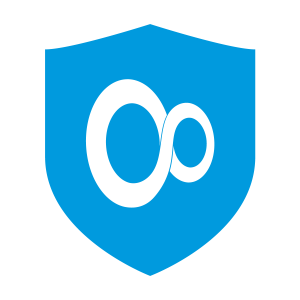 VPN Unlimited is designed to provide simple, yet effective protection against online security threats, as well as versatile functionality to help you overcome restrictions. The software provides all the necessary options to ensure that you can overcome censorship and geographical blocks. It also supports handy security features such as killswitch. This is a solution that prevents that your real IP address get exposed in case the VPN connection suddenly drops. If your VPN stops working for some reason, the killswitch will immediately act to stop your connection, making sure that your real IP address remains hidden. Although VPN Unlimited lacks advanced features, its easy to use interface makes it a good choice for users who don’t have previous experience with VPN services. While the software won’t impress you with advanced functions, it can be easily set up and it gives you the freedom to manage different connection settings. It is possible to select the server you want to use and you an also create manual config files on the website. There’s also a lack of details provided for each server, such as pre-tested ping response or distance, which can help select the best servers, but you can connect to more than 400 servers in over 70 locations around the world. There are options located in United States, Mexico, Canada, Brazil, United Kingdom, Australia, South Korea, Israel, Sweden, Vietnam, Romania, Finland, Latvia, Chile, Czech Republic, Ireland, Iceland, Denmark, Slovenia, Singapore, Japan, New Zealand, Germany and Hong Kong. The speed tests showed a slight decrease compared to the speeds of our connection before connecting to the VPN, but this is not an unexpected results. Due to the encryption applied, the speed of your internet connection will drop. However, you will still be able to download files, stream videos, play games and more. The speeds vary depending on the distance of the server you are connecting to, but overall, VPN Unlimited offers acceptable performance. Additional features supported include Personal Server and Personal IP. You can also set a VPN on a WiFi router, following the practical guides on the website. Another functional utility of VPN Unlimited is its’ selection of streaming servers. Users can connect to optimized servers for Netflix, BBC iPlayer, Hulu, ESPN+ and HBO Now. That’s not to say you can’t use servers by country under the All servers list to unblock content, but these specific servers were all successfully tested at unblocking the given streaming platform. I was able to access US Netflix, Hulu, as well as other live streaming channels across the tested servers. The only negative criticism I have is that the streaming servers do not specify the location at all, not even the country. Where BBC iPlayer will obviously be located in the UK, some users may want to access Netflix in different countries than US, and at a minimum, the city is helpful to quickly find faster servers. Otherwise, it worked perfectly to unblock and stream content and good speeds for multiple high definition sources. The plans are organized according on the amount of simultaneous connections allowed. One month of service with 5 simultaneous connections costs $9.99, but if you want to connect up to 10 devices at the same time, the monthly cost increases to $14.99. One year of service (5 connections) costs $59.99, or $5 per month. If you want the same plan but with 10 connections, you will pay $89.99, which is $7.50 per month. If you want to get the best deal, you can extend your subscription to three years. In that case, the price for 5 simultaneous connections is $99.99 ($2.78 per month) and for 10, $149.99, which is $4.17 per month. You can also get lifetime subscriptions for $199.99 and $299.99. The payment methods accepted include cards, PayPal, gift cards and Bitcoin. There is a free trial available that allows you to test the service for up to 7 days. You will find valuable information about different aspects of the service on the website. Apart from the detailed FAQ section that covers different areas, there are also manuals that will help you to set up VPN Unlimited on the platforms supported. The Support team can be contacted via web form and email. VPN Unlimited promises to reply to customers’ queries within one hour, which is a step above most. Because VPN Unlimited is a service provided by a larger company, KeepSolid, whom also offer a wider variety of security programs to full solutions, they pride themselves on offering the best possible after sale service to their subscribers, regardless of what service you opt for. VPN Unlimited is ideal for users who haven’t tried a VPN before and who want to keep their data protected from eavesdroppers and malicious hackers. It will also allow you to bypass censorship and geographical blocks effectively. including China and Iran, thanks to their stealth VPN protocol. Although there are no advanced features supported, VPN Unlimited will enable you to secure your internet connection and enjoy online freedom. It is a simple and convenient service that works well and that protects your information with high encryption, and you can always count on their team if you need any assistance. In the future, I would like to see more details provided for the server list added, instead of just having a recommended servers tab. Otherwise, testing the service was a pleasant experience.